2-piece set for deworming horses. 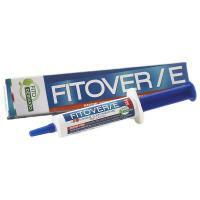 Deworming Fitover / E Biorama, in convenient set of 2 pieces. Deworming completely natural to use for worm intestinal parasites of the horse. It can also be used in pregnant mares. The recommended approach to the treatment every 2-3 months. If the animal is particularly affected, it is recommended that a second dose after 15 days from the first.